Katie Byford is a poet and filmmaker living in London. 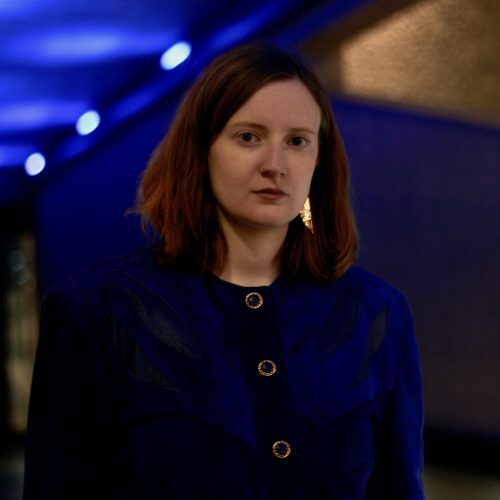 She is a Barbican Young Poet alum, a commended Foyle Young Poet and a former member of the Burn After Reading poetry community, as well as a commended poet for the Young Poets on the Underground initiative. A short film Katie produced, 'Tea with Lemon', was this year awarded a British Film Council grant to fund Katie's travel to Sydney, in order to attend the screening of the film at the Oscar-qualifying film festival Flickerfest. She has written a number of shorts and is currently developing two film poem projects to be shot this year. Katie's poetry has been included in anthologies published by Bloodaxe Books ('Raving Beauties: Hallelujah for 50ft Women') and recently by Macmillan UK ('She Is Fierce: Brave, bold & beautiful poems by women'). Her work has also been published in Magma and Popshot, along with student poetry journals. Past commissions include the Wellcome Collection’s Sexology Season, South Bank University's Borough Road Gallery and the Horniman Museum. Katie has performed her work across the UK, including in Durham Castle and the Houses of Parliament. While studying Classics at Durham University, Katie founded an independent arts platform, Thorn, with the aim to bring the arts and the student and local communities together through events, gigs, readings, screenings and exhibitions. With Thorn in its fifth year, Katie continues to manage the organisation remotely from London, with a team of fifteen, both students and local people, running events on the ground in Durham. Katie's university work focused on the modern artistic reception of ancient poetry, and she has returned to Durham to give a guest lecture for the Classics department on this topic.